Buffalos Nickel by Michelle W. Dig through your couch cushions, your purse, or the floor of your car and look at the year printed on the first coin you find. What were you doing that year? 1999 was the year many were frightened that computers wouldn’t be able to cope with the change to the year 2000. The year began for me with sick leave. Shingles appeared on my face and head with an added ear infection, the day school was to start. Serendipitous, considering it could have come upon me in the holidays. Gardening appeased my headaches. Returning with fresh energy to school to bring some order to the art department I was dismayed to find I had Bell’s palsy. Half my face was paralysed, and I thought I’d had a stroke. The doctor recommended working through this as the more exercise the muscles had, the better my recuperation would be. Speaking with a half paralysed tongue was not fun, but being in a special school, the children were all very understanding. Ignoring disability was part of the culture, where people appreciated one another for who they were, not for how they might look. 1999, my two older children were living away, one in Melbourne, the other overseas. Simon, the youngest, was nineteen, and had aspirations to join his sister in Melbourne. It was also the year that Christopher and I started corresponding. Chris had sent me an invitation to his exhibition opening in Melbourne, which I had to decline with a card for his birthday. There began a most amusing correspondence. Chris has a very vivid sense of fun, so I would rush to work early to open his e-mails. Computers had only just been provided at the school. Up until then reports were hand written. We also faxed each other at home, as this was cheaper than ringing. Jokes were sent back and forth, and both workplaces, his and mine, were entertained with the daily installments. Chris was working at McClelland Gallery, doing the books, and living in the caretaker’s cottage. We both went to Tasmania for his mother’s eightieth birthday, and my mother cooked a special dinner for the occasion. Our lives had intertwined over the years, but my mother commented on Chris staying behind to help with the washing up, noticing his attentions. Later in the year, Chris invited me to the opening of the extension to the gallery. I gladly accepted. He picked me up from the airport, visiting a Church of England nunnery on the way home, where he showed me a magnificent tapestry that he’d designed. The nuns were very proud to show off their tapestry and provided afternoon tea. Chris had cooked Coq au vin for dinner with potatoes in their jackets. This weekend changed our lives with Chris’s proposal that night. Saturday we were busy digging and placing nameplates beside each sculpture in the grounds before the big event. Exciting times lay ahead. Everything fell into place as if it was all predestined. Chris brought his two spaniels to stay for Christmas. We had Becky’s dog, Jimmy, staying with us while she was overseas, as well as our ancient cat, which died soon after. Apart from Jimmy jumping on Chris’s head in the middle of the night when there were fireworks and scaring the life out of him, the animals were as contented as the humans. We were married the following year when my long service was due, to live happily ever after, with the true fairy tale ending. 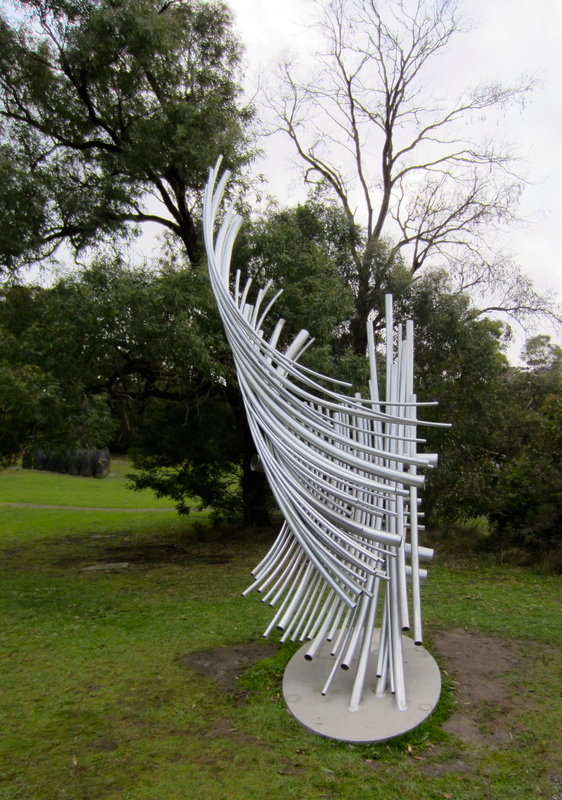 This entry was posted in Daily post, McClelland Gallery and Sculpture Park, Writing and tagged change, Christopher Pyett, fairy tale, Love, marriage, predestined on February 13, 2015 by bkpyett. The McClelland Sculpture Survey opened today with perfect weather. There were crowds attending. 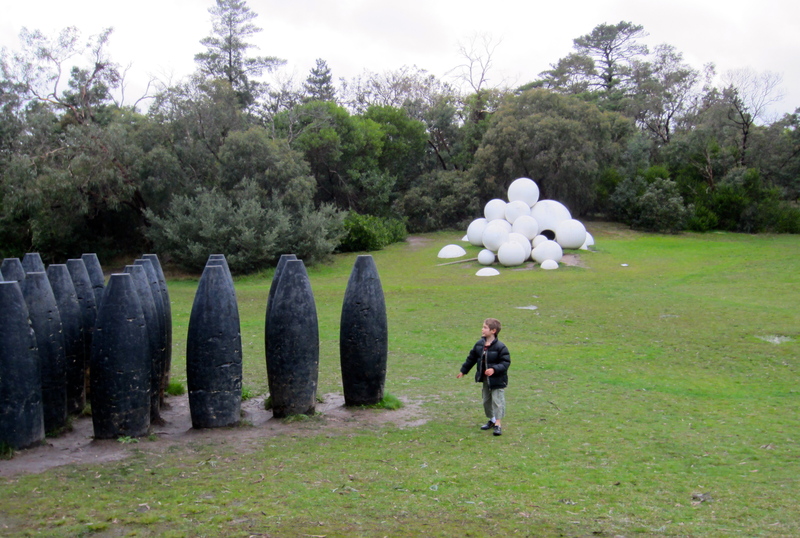 We appreciated seeing the sculptures in the bush setting as well as seeing the plantings we did some years ago now. 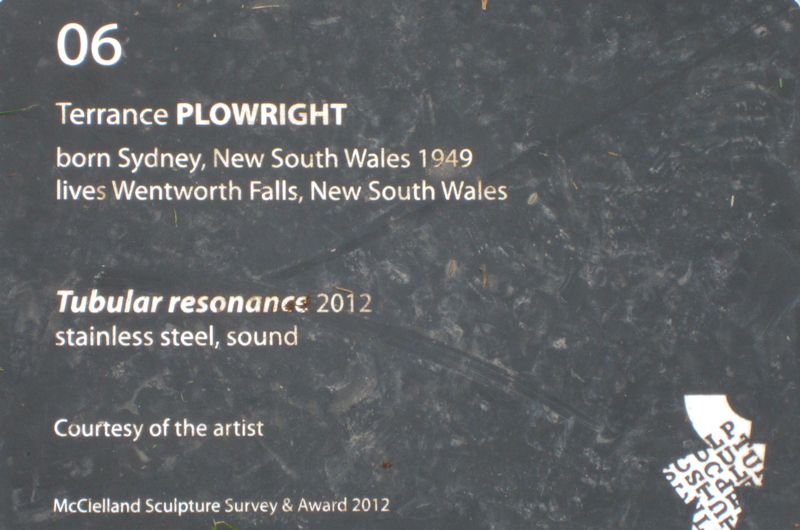 I shall post just a few of the 33 sculptures in the prize. 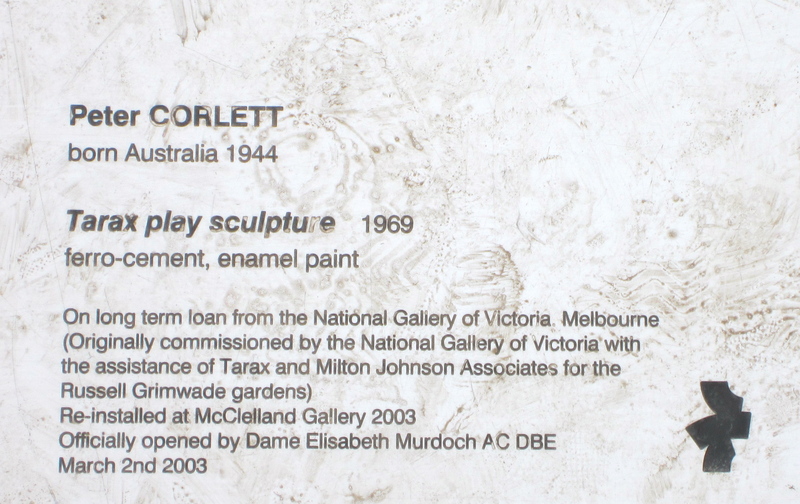 This entry was posted in McClelland Gallery and Sculpture Park and tagged McClelland Gallery and Sculpture Park, Sculpture prize 2014, Survey on November 23, 2014 by bkpyett.